Do you know or love someone who has food allergies? 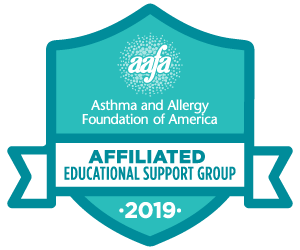 Parents Having Allergic Children Team (PHACT) of Chester County, Pennsylvania was started as a way to help families who manage food allergies connect, support each other and thrive. We offer training for managing food allergies for preschools and schools K-12, as well as community groups and organizations. Our group was founded in 2004. We have 4-5 formal meetings each year held at Paoli Hospital in Paoli, PA. Moms Night Out is another great opportunity to meet other moms (and dads) who have children with food allergies. We have an annual outing at the Reading Phillies Peanut Free game night each summer. Our group has as a Facebook page for online discussions, updated research, sharing and support.